Mumbai: Monsoon showers have finally brought the mercury levels marginally down in Mumbai but the political temperature is definitely heading for a rise. The two reluctant allies — BJP and Shiv Sena — have embarked on a jibing spree ahead of the civic polls once again. On Wednesday, BJP surprised its junior alliance partner in its own game when it published a scathing criticism on Shiv Sena in the 15 June issue of its fortnightly Manogat. BJP spokesperson Madhav Bhandari’s article published on Wednesday in the Maharashtra party unit’s fortnightly Manogat, titled When are you taking talaq, Mr Raut?, dared Sena to walk out of the alliance while enumerating the sacrifices BJP made in past couple of decades-and-a-half to keep the tie up intact. Usually, it is the Shiv Sena that hits out at the BJP through its mouthpiece Saamana. What caught the Shiv Sena even more unaware was the sheer ferocity of the BJP attack. Bhandari didn't even spare Shiv Sena supremo Uddhav Thackeray and compared him with Sholay’s Asrani. Asrani had played the role of an eccentric jailer in the movie, supposedly, motivated by those in the profession during the British period. 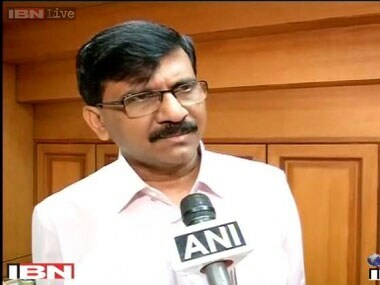 The article also attacked Sena MP Sanjay Raut who recently said the BJP-led governments at the Centre and in Maharashtra were worse than the Nizam. "They eat ‘biryani’ given by the same ‘Nizam’ on one hand and then criticise us on the other hand. They have got ministries at the Centre and state, enjoy perks of power only because of the favour of the same ‘Nizam’ and then curse BJP. This is called 'ungratefulness',” the article said. “If they feel so oppressed by ‘Nizam’, why don’t they just walk out,” the article said, adding, “But, they don’t show that courage." "Sanjay Raut and Shiv Sena president are not able to digest the fact that their strength is declining and that is why they are frustrated. They should accept the changing political situation and stop blaming us," Bhandari opined. "We outnumbered the Shiv Sena in Aurangabad and Kalyan-Dombivali polls. 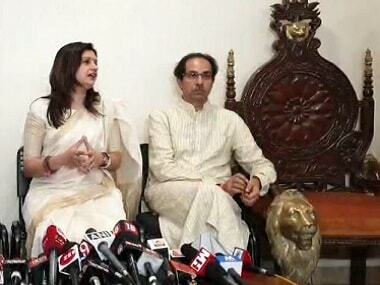 Voters are considering BJP as a strong option and that is what is hurting the Sena most," the article said. Raut, who is also the editor of Saamna, had criticised the government, saying it was as if being under the Nizam's rule, 10 days back during a public rally in Aurangabad while addressing Shiv Sainiks. Criticising Raut for his selective vision, the article said that while he feels the present government has done a lot of injustice, they don’t see the amount of work done through Jal Yukta Shivar in Marathwada. Highlighting BJP’s better strike rate in elections, the article further said, "In 1995, BJP contested 117 seats and won 65. 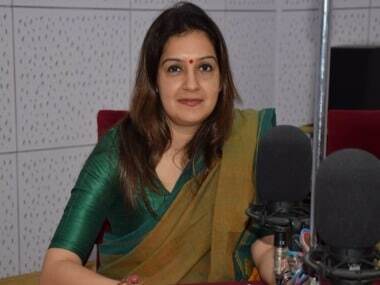 In 2009, despite contesting lesser seats, the BJP won two seats more than the Shiv Sena." 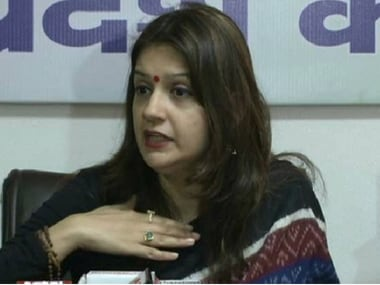 Bhandari even reminded Raut of BJP's sacrifices made for the late Bal Thackeray, who had requested that the assembly seats of Shivaji Nagar in Pune and Guhagar in Ratnagiri, and Lok Sabha seats of Ratnagiri, Thane and Nashik be left for the Sena. Defending his article, Bhandari told Firstpost, "Earlier, we chose to ignore such things but they (Shiv Sena) have crossed the limits of decency. This was discussed in our recent state convention as well. But now we want to tell them straight ... if they don't find it worth, they should find their own path." By February 2017, 10 municipal corporations including Mumbai, Thane, Ulhasnagar, Bhiwandi, Pune, Pimpari-Chinchwad, Solapur and Akola are going to polls. The strategic alliance that both the parties had forged is increasingly getting strained and none of them are keen on continuing it. The war of words between the two parties is only likely to get intensified till the polls are over and both Saamana and Manogat will be key platforms.